Katalyst provides the only end-to-end subsurface data management solution. 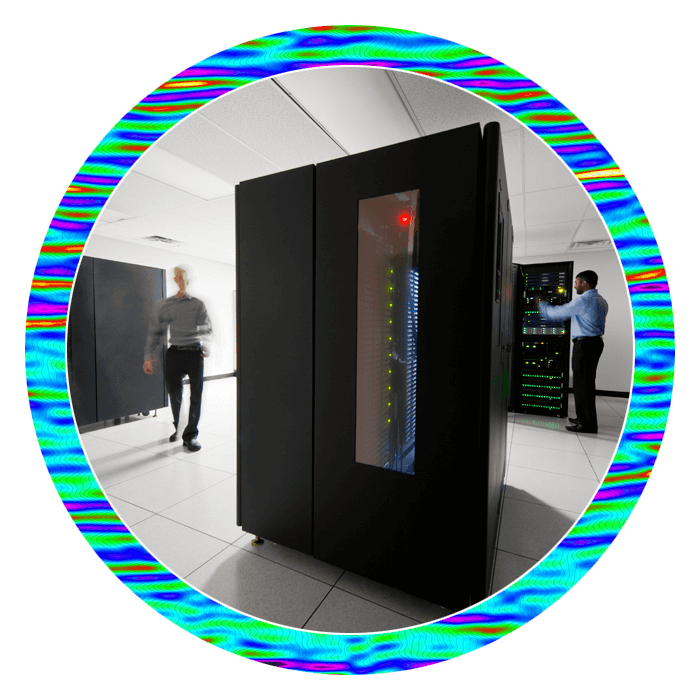 We provide a complete life cycle data management service for your seismic and well data from one of our full-service subsurface global datacenters. We accept all forms of legacy data and convert the assets to an online digital form, then manage the content within a PPDM database to ensure the data is quality-controlled and readily available for our clients. Our multi-cloud storage solution enables clients to easily access their data for interpretation, seismic processing or big data analytics. 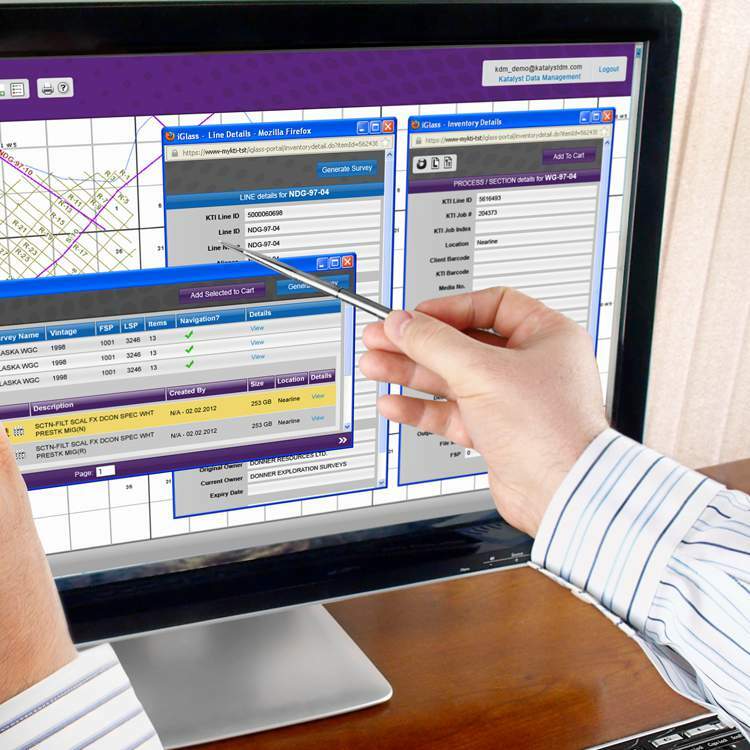 After Katalyst has transformed subsurface assets from aging media, customers can view and spatially interact with their organized data via iGlass, a hosted web-based ESRI GIS map interface for your PPDM database. Through this user-friendly online portal, you can access your geological and geophysical (G&G) information in just minutes and spend more time analyzing and less time searching for the assets you need. All of your subsurface data will be exposed on the map and readily available for interpretation and data analytics. In addition, iGlass users have the option of marketing their proprietary data on Katalyst’s e-brokerage website for subsurface data, SeismicZone.com. Our oil and gas data management services encompass the full life cycle of exploration data in the E&P industry – from acquisition to analytics and every step in between. With over 40 years in the field of seismic data management, we have developed unique solutions specifically designed for the oil and gas exploration industry. These seismic and well data management solutions empower our clients to better understand, access and manage their data assets at a lower cost structure than traditional methods. 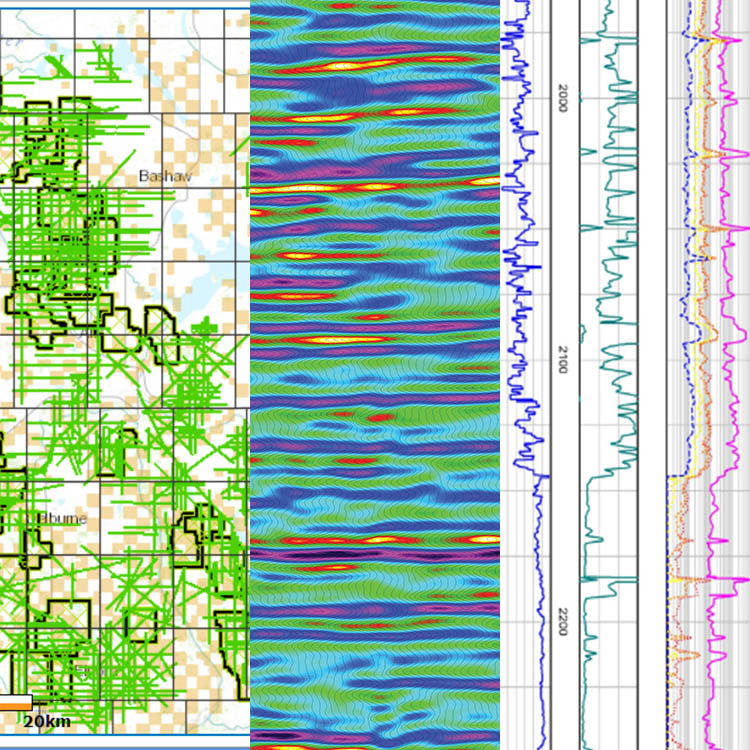 Backed by client demand, what began as a seismic data management solution has expanded to encompass subsurface data types across multiple domains. In addition to seismic data, we are also able to manage microseismic, well logs and virtually any files associated with a well. To further enhance our solution, iGlass is now capable of handling the complexities of managing interpretation project archives, and all of the associated metadata that geoscientists often are unable to access with traditional storage methods. For more information on oil and gas data management for your G&G data, please contact us.